Happy almost Cinco de Mayo (a.k.a, one of our favorite holidays of the year!). It’s time to break out the margaritas, chips & salsa and of course – eat tacos! Although if you’ve been reading this blog long, you know that Jack and I don’t need a holiday as an excuse to eat tacos. These tacos are stuffed with grilled Sunshine Sweet Corn, poblano peppers, and crumbly cotija cheese. 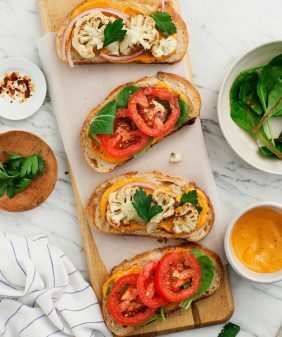 If your weather is nice this weekend, this recipe is a great excuse to break out your grill, if not you can grill these on a grill pan like I did. 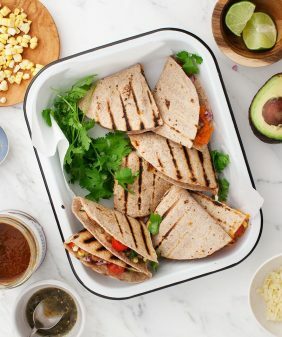 Grill until your corn is charred – slice it off the cob, mix your filling together and stuff it all into a tortilla. This is so quick and easy. You can stop there or add a few slices of avocado and your favorite tomatillo salsa. And don’t forget – you could win a $500 grocery giveaway courtesy of Florida Sunshine Sweet Corn. (Click here to enter). Also, you could receive 10 additional entries if you upload a corn husking, corn recipe or spring photo when you enter! 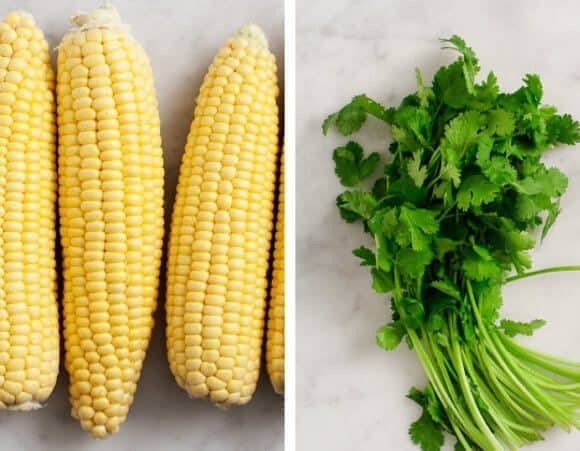 For more tips and recipes, click over to this helpful interactive guide to enjoying sweet corn! Preheat a grill or cast iron grill pan. 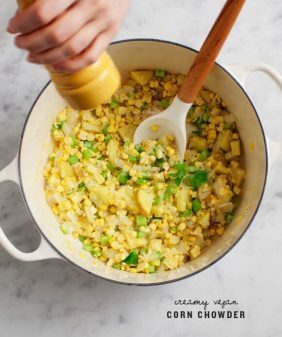 Drizzle the corn with olive oil, salt and pepper. Place it on the hot grill pan along with the poblano pepper (you can grill the pepper dry). Grill, rotating the corn occasionally until grill marks form on all sides of the corn. Grill the poblano until it softens and blackens on all sides. Remove vegetables from the grill. Slice the kernels off the corn. Remove the stem and seeds of the pepper and dice. Toss with scallions, tomatoes, a squeeze of lime and more salt and pepper. 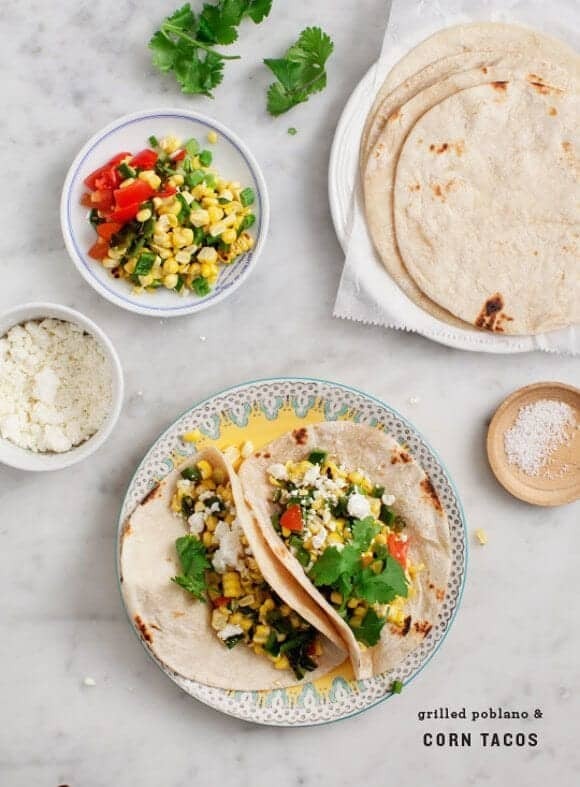 Assemble tacos with the corn poblano filling, cheese, cilantro. 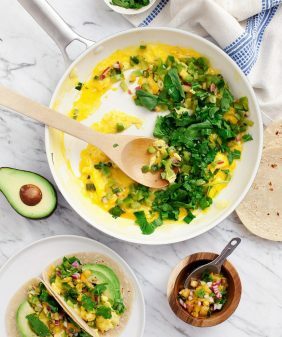 Serve with lime slices, avocado slices and your favorite salsa. ‘Tis the season for recipes with grilled corn, and this one looks delicious. Can’t wait to try it! I should not have peeked at your site before lunch! Now nothing will taste good if it isn’t this. I swear your posts are timed to find me at my hungriest. I’m on to you guys. They look fantastic! Looks so yummy! I love the inclusion of corn. This sounds like a perfect meal to prepare for el Cinco de Mayo. Usually we go out but this year is really hectic. It might be a pleasant change to cook and serve some margaritas at home. In love!! Those tacos look so yummy! Corn and Poblano Peppers – classic combo. Love the meatless meal option. Grilled corn is so delicious to me.It makes my mouth water often. 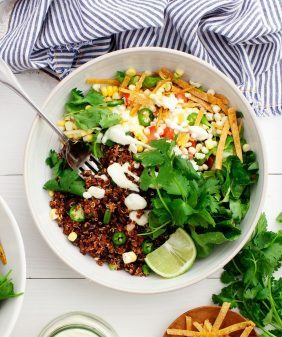 I am so glad to see it in your blog and I Love your recipes ,also love the comprehension of the corn. I love all the tacos! Best dinner ever! Thank you! 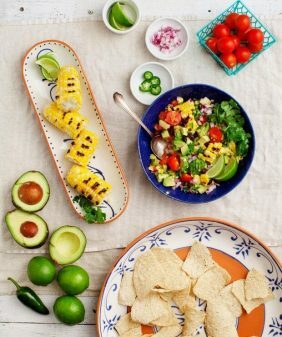 grilled corn and tacos are the great combination.. I love corn on the cob! Cannot wait to make it with a pepper too. Thanks for the idea! yum! love anything with fresh corn this time of year. looks great! It looks absolutely delicious to me and I like so much your gorgeous photos along with your description.Thanks a lot for sharing such informative.